RALLY Australia’s chief sporting organiser Adrian Stafford has won the world’s top award for motor sport officials, the Federation Internationale de l’Automobile’s Outstanding Official of the Year for 2014. Mr Stafford’s award was announced by the Paris-based FIA and will be presented at the motor sport governing body’s annual prize-giving gala in Doha on 7 December. The award recognised Mr Stafford’s high level of professionalism and leadership, said Mümtaz Tahincioglu, President of the FIA Volunteers and Officials Commission. Mr Stafford has worked in senior roles at Rally Australia for all but two events since its inception as a round of the FIA World Rally Championship in Perth in 1989. He rejoined Rally Australia after its move to the New South Wales Coffs Coast, as Clerk of Course in 2013 and 2014. He also has served on other events, including the Australian Safari, been an FIA Observer and Steward on WRC and FIA Asia Pacific events, undertaken training and advisory roles for other international rallies and competed as a driver in rallies and racing. Mr Stafford said he was delighted to receive the award not only as recognition of his four decades in motor sport, but also as an endorsement of the world-class quality of the Rally Australia sporting organisation. “This award is the most amazing thing to happen in my motor sport life,” he said. “No matter as Clerk of Course or any of the many other roles I have enjoyed over the years, an official is always a part of a team and the power is in the team and no single individual. I am constantly in awe of the dedication shown by motor sport officials at every level and often in the most testing conditions. “The enjoyment and satisfaction that come from taking part as a motor sport official needs to be experienced to fully appreciate. This comes not just from our fellow officials, but also from seeing the enjoyment and respect of the competitors and teams taking part. Mr Stafford was congratulated by the senior FIA representative for Australia, FIA Institute Deputy President Garry Connelly, and Rally Australia Chairman Ben Rainsford. “It is very rewarding to see Adrian’s passion for the sport and his dedication to excellence being recognised with the FIA’s highest award for officials,” Mr Connelly said. Mr Rainsford said Mr Stafford had been an exceptional organiser and leader of a force of almost 1500 officials at Coates Hire Rally Australia. “Adrian’s professionalism, experience and leadership achieved an outstanding 2014 Coates Hire Rally Australia, which was widely praised by WRC competitors, international officials and spectators and positioned us strongly for future annual events,” Mr Rainsford said. 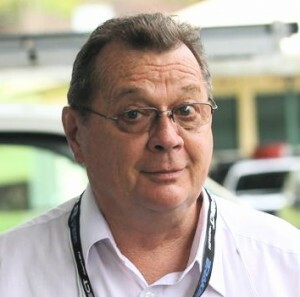 Mr Stafford’s award is the first at this top level for an Australian official, but others have received “Best Official” category awards each year since the FIA program was introduced in 2011. Former Rally Australia Clerk of Course Dr Michelle Gatton was Outstanding Senior Official in 2011, former Rally Australia Chief Medical Officer Dr Rik Hagen Best Doctor in 2013, Steven Chopping Best Senior Official in 2012 and Ewan Cole Best Scrutineer in 2013.